Daniel Baker, you are one lucky kid. I arranged the shots in what I think is consecutive order. First, we see the massive AT-AT box unwrapped. 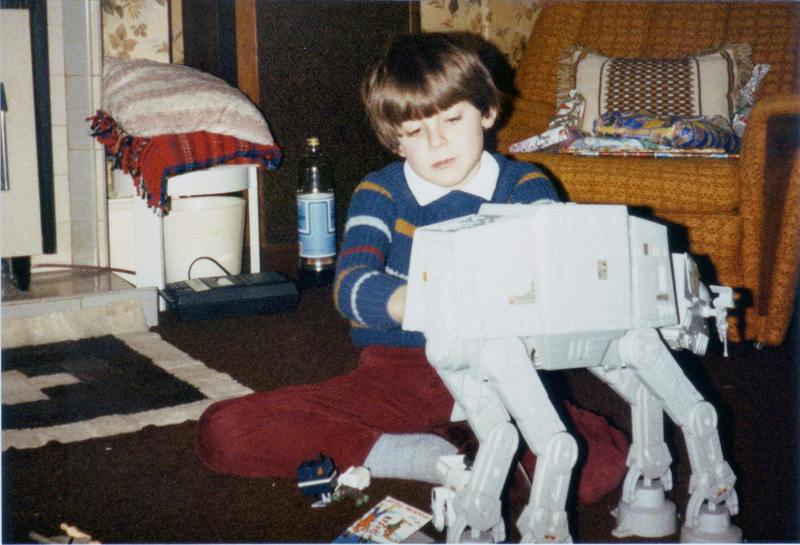 Second, dad works diligently to assemble AT-AT while kids opens the Big Trak. 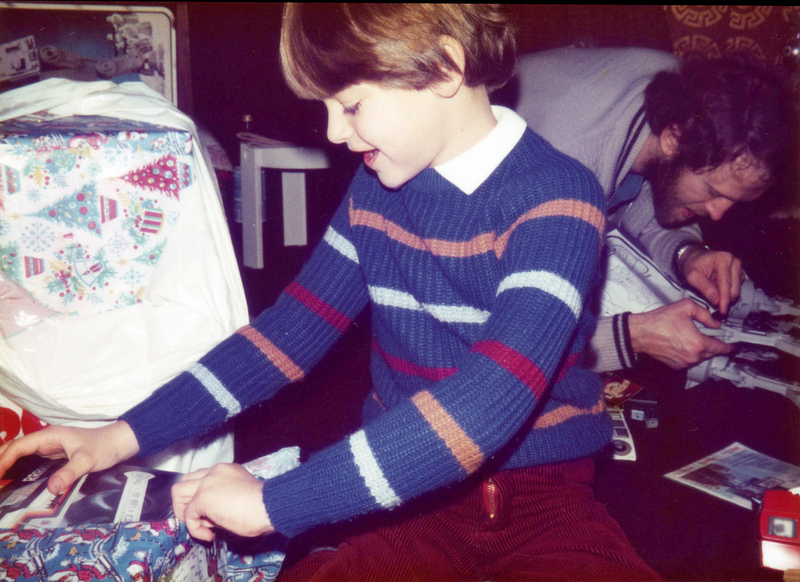 Third, kid puts finishing touches on the Walker as assorted Star Wars figures look on. 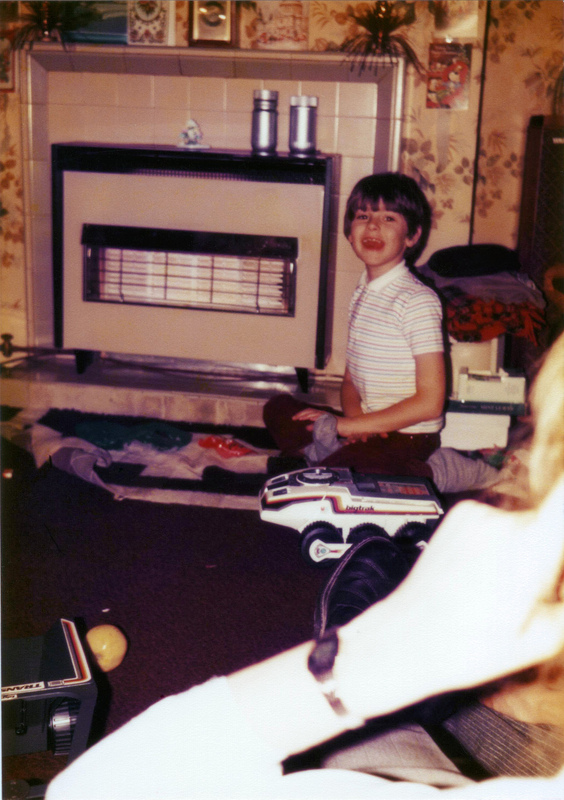 Fourth, the Big Trak (the separately sold Transporter is in the foreground) goes for a pre-programmed spin. Fifth, kid sits on mom’s lap, admiring his toy domain, exhausted by happiness. 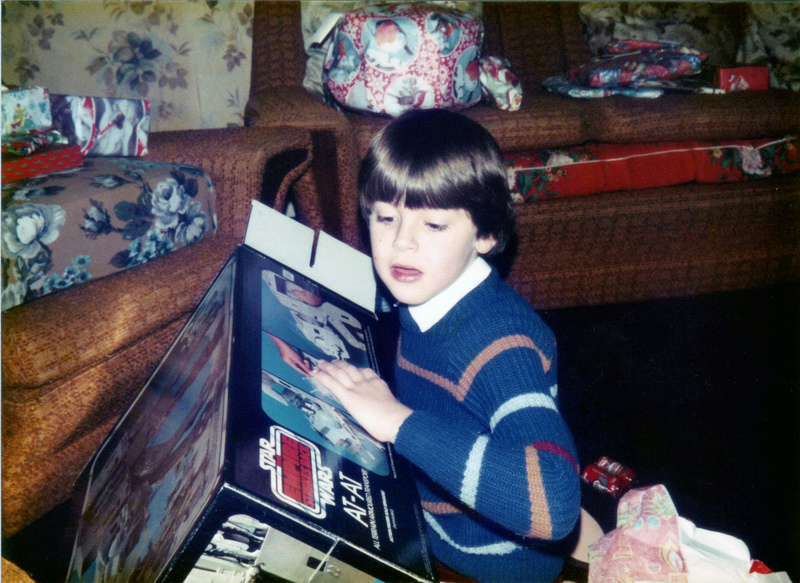 More Christmas morning AT-ATs here. Great stuff. There’s some cool things hidden in the details too, like the Viewmaster in pic 2, the tape recorder in pic 3, and that awesome fiber-optic “fountain” piece in pic 4. 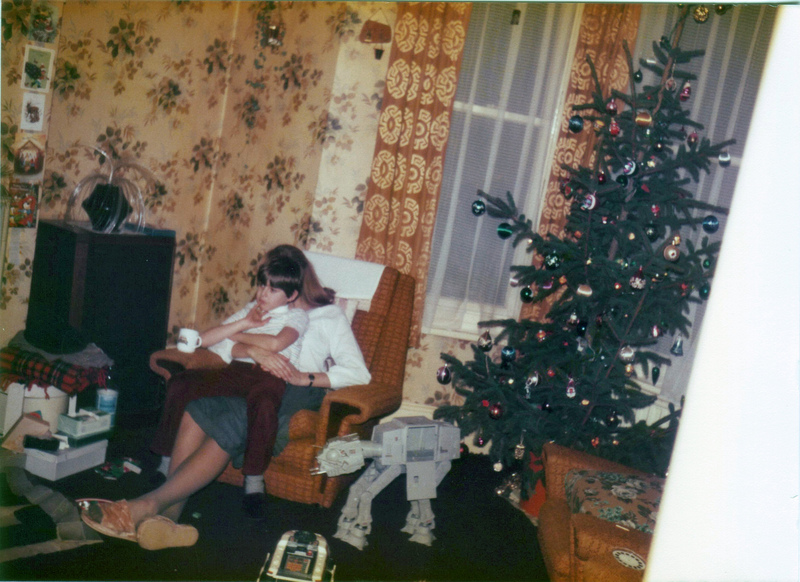 Man those AT-ATs were monstrous. What a prize.